On January 4, 2019, Apricus Biosciences, Inc. (the “Company” or “Apricus”) and Seelos Therapeutics, Inc. (“Seelos”) entered into Amendment Agreements (collectively, the “Second Amendment”) with each Investor (as defined below) amending that certain Securities Purchase Agreement (the “Purchase Agreement” and the transactions contemplated thereby, the “Financing”), made and entered into as of October 16, 2018, by and among the Company, Seelos and the buyers listed on the pages attached thereto (the “Investors”), and amended by those certain Amendment Agreements, made and entered into as of November 16, 2018 (the “First Amendment”). The Second Amendment reduces the estimated pro forma warrant liability and increases the estimated stockholders’ equity of the combined organization, which is required in order to meet certain of the listing requirements of the Nasdaq Capital Market following the closing of the Merger (as defined below). As previously disclosed in the Company’s current report on Form 8-K filed on July 30, 2018, the Company, Seelos and Arch Merger Sub, Inc., a wholly owned subsidiary of Apricus (“Merger Sub”), are party to that certain Agreement and Plan of Merger and Reorganization, as amended (the “Merger Agreement”), to which among other matters, and subject to the satisfaction or waiver of the conditions set forth in the Merger Agreement, Merger Sub will merge with and into Seelos, with Seelos continuing as a wholly owned subsidiary of Apricus and the surviving corporation of the merger (the “Merger”). Additionally, as previously disclosed in the Company’s current reports on Form 8-K filed on October 17, 2018 and November 16, 2018, to the Purchase Agreement, (i) Seelos agreed to sell to the Investors an aggregate of 1,187,336 shares of Seelos’ common stock (the “Initial Shares” and, as converted into the right to receive a number of shares of Company common stock equal to the exchange ratio in the Merger, the “Converted Initial Shares”) and deposit an additional 1,187,336 shares of Seelos’ common stock into escrow for the benefit of the Investors if the volume-weighted average closing trading price of a share of the Company’s common stock as quoted on the Nasdaq Capital Market for the first three trading days immediately following the closing date of the Financing is lower than the price paid by the Investors for the Initial Shares (to the extent issued and as converted into the right to receive a number of shares of Company common stock equal to the exchange ratio in the Merger, the “Converted Additional Shares”), and (ii) the Company agreed to issue warrants representing the right to acquire an amount of Company common stock up to the amount issuable in exchange for 80% of the combined Converted Initial Shares and Converted Additional Shares, (the “Series A Warrants”), and additional warrants to purchase shares of Company common stock (the “Series B Warrants” together with the Series A Warrants, the “Investor Warrants”). The First Amendment provided that the Investor Warrants were revised to provide that the Company shall in no event issue shares of the Company’s common stock to the exercise of the Series A Warrants and the Series B Warrants, in the aggregate, in excess of the difference obtained by subtracting the number of Converted Initial Shares and the number of Converted Additional Shares from 533,773,068, prior to giving effect to the reverse split to be effected in connection with the Merger (the “Warrant Issuance Cap”). In the event that the Company is unable to issue shares of the Company’s common stock to an exercise of Series A Warrants or the Series B Warrants due to the application of the Warrant Issuance Cap, the Company will pay to the exercising holder an amount in cash equal to the difference between the last closing trade price of the Company’s common stock and the applicable exercise price, if any, to the extent not previously paid to the Company. The Second Amendment provides that Series A Warrants shall be comprised of two series of Series A Warrants, a Series A-1 Warrant (“A-1 Warrant”), which shall constitute 70% of the Series A Warrants issuable to each Investor to the Purchase Agreement, and a Series A-2 Warrant (“A-2 Warrant”), which shall constitute 30% of the Series A Warrants issuable to each Investor to the Purchase Agreement. The form of the A-2 Warrants was not amended to the Second Amendment and shall be in the form attached as Exhibit A-1 attached to the First Amendment, and as filed as Exhibit 4.1 to the Company’s current report on Form 8-K filed November 16, 2018. The A-1 Warrants shall be in the form attached as Exhibit A-1 attached to the First Amendment, except as follows: (i) the provision that required a cash payment in the event that upon any exercise of the warrant, the Company did not have sufficient authorized shares to deliver to the Investor was deleted; (ii) the provisions on Fundamental Transactions (as defined therein) was revised to state that in the event a Fundamental Transaction was not within the Company’s control, a holder of the warrant will be entitled to the same type of consideration (and in the same proportion) offered and paid to the holders of common stock; and (iii) the definitions of “Black Scholes Consideration Value” and “Black Scholes Value” were amended to remove the minimum volatility factor and change references to the “highest Weighted Average Prices” during the calculation period to the “average of the Weighted Average Prices”. In addition, the provision of the Purchase Agreement pertaining to the date by which the closing of the Financing must occur before the Investors have the right to terminate the Purchase Agreement was extended from December 31, 2018 to January 18, 2019. The representations, warranties and covenants contained in the Second Amendment were made solely for the benefit of the parties to the Second Amendment and ROTH Capital Partners, LLC acting as exclusive placement agent. In addition, such representations, warranties and covenants (i) are intended as a way of allocating the risk between the parties to the Second Amendment and not as statements of fact, and (ii) may apply standards of materiality in a way that is different from what may be viewed as material by stockholders of, or other investors in, the Company. Accordingly, the Second Amendment is filed with this report only to provide investors with information regarding the terms of transaction, and not to provide investors with any other factual information regarding the Company. Stockholders should not rely on the representations, warranties and covenants or any descriptions thereof as characterizations of the actual state of facts or condition of the Company. Moreover, information concerning the subject matter of the representations and warranties may change after the date of the Second Amendment, which subsequent information may or may not be fully reflected in public disclosures. The Second Amendment is filed as Exhibit 10.1 to this Current Report on Form 8-K. The foregoing summary of the terms of this document are subject to, and qualified in its entirety by, the copy of such document filed as Exhibit 10.1 to this Current Report on Form 8-K, which is incorporated herein by reference. As a result of the Second Amendment, the A-1 Warrants will now be equity-classified and will no longer be accounted for as a liability on the Company’s pro forma balance sheet, resulting in a higher stockholders’ equity. Pro forma financial information with respect to the combined organization after the Merger and reflecting the effects of the Purchase Agreement, as amended by the First Amendment and Second Amendment, is provided in Item 9.01 of, and set forth in Exhibit 99.1 to, this Current Report on Form 8-K.
On January 4, 2019, the Company reconvened its Special Meeting of Stockholders (the “Special Meeting”), which was previously convened and adjourned on December 14, 2018. The following is a brief description of each matter submitted to a vote at the Special Meeting on January 4, 2019, as well as the number of votes cast for, withheld or against, the number of abstentions and the number of broker non-votes with respect to each matter, as applicable. For more information about these proposals, please refer to the proxy statement/prospectus/information statement contained in the registration statement on Form S-4 filed by the Company on November 20, 2018 and declared effective by the Securities and Exchange Commission (the “SEC”) on November 20, 2018 (the “Proxy Statement”). The number of shares of the Company’s common stock entitled to vote at the Special Meeting was 28,167,329. The number of shares of the Company’s common stock present or represented by valid proxy at the Special Meeting was 21,865,784. All matters submitted to a binding vote of stockholders at the Special Meeting were approved as described below. Stockholders approved the Merger Agreement, a copy of which is attached as AnnexA to the Proxy Statement, and the transactions contemplated thereby, including the Merger and the issuance of shares of Apricus common stock to Seelos’ stockholders to the terms of the Merger Agreement. The results of the voting included 15,376,368 votes for, 535,796 votes against, 78,551 votes abstained and 5,875,069 broker non-votes. Stockholders approved a reverse stock split of Apricus common stock, at a ratio of one post-split share for every thirty shares outstanding immediately prior to the reverse stock split. The results of the voting included 14,292,620 votes for, 1,618,831 votes against, 79,264 votes abstained and 5,875,069 broker non-votes. Stockholders approved an amendment to the amended and restated articles of incorporation of Apricus to change the corporate name of Apricus from “Apricus Biosciences, Inc.” to “Seelos Therapeutics, Inc.” in the form attached as AnnexC to the Proxy Statement. The results of the voting included 15,326,307 votes for, 458,048 votes against, 206,360 votes abstained and 5,875,069 broker non-votes. Stockholders approved an amendment to the amended and restated articles of incorporation of Apricus to increase the number of authorized shares of Apricus common stock to a total number of 120,000,000 shares, in the form attached as AnnexD to the Proxy Statement. The results of the voting included 18,828,162 votes for, 2,848,769 votes against, 188,853 votes abstained and no broker non-votes. Stockholders approved an amendment and restatement of the Apricus 2012 Stock Long Term Incentive Plan (the “2012 Plan”) to, among other things, increase the total number of shares of Apricus common stock currently available for issuance under the 2012 Plan by 9,200,000 shares, prior to giving effect to the reverse split to be effected in connection with the Merger, in the form attached as Annex E to the Proxy Statement. The results of the voting included 12,587,919 votes for, 2,471,570 votes against, 931,226 votes abstained and 5,875,069 broker non-votes. Stockholders approved the issuance of: (a) shares of Apricus common stock upon the exercise of the Investor Warrants to be issued in the Financing, and (b) additional shares of Apricus common stock that may be issued following the closing of the Financing, in each case to the Purchase Agreement and as required by and in accordance with Nasdaq Listing Rule 5635. The results of the voting included 13,621,749 votes for, 1,351,793 votes against, 1,017,173 votes abstained and 5,875,069 broker non-votes. Stockholders approved, on a non-binding, advisory basis, the compensation that will be paid or may become payable to Apricus’ named executive officers in connection with the Merger. The results of the voting included 12,985,316 votes for, 1,949,511 votes against, 1,055,888 votes abstained and 5,875,069 broker non-votes. Stockholders approved an adjournment of the Special Meeting, if necessary, to solicit additional proxies if there are not sufficient votes in favor of Proposal Nos. 1 or 2. The results of the voting included 13,652,291 votes for, 2,083,559 votes against, 254,865 votes abstained and 5,875,069 broker non-votes. The New York Stock Exchange (“NYSE”) has informed the Company that it deems Proposal No. 4 included in the Proxy Statement, to approve the Company’s amended and restated articles of incorporation to increase the number of authorized shares of its common stock to a total number of 120,000,000 shares (the “Share Increase”), to be a “routine matter,” to NYSE Rule 452. In accordance with NYSE Rule 452, banks, brokers and other nominees who held shares of common stock in “street name” for their customers had discretionary authority to vote such shares on “routine matters,” but did not have such discretionary authority to vote the shares on “non-routine matters.” Accordingly, the Company is disclosing that, if a stockholder’s shares were held by a bank, broker or other nominee on such stockholder’s behalf in “street name” and such stockholder did not instruct such stockholder’s bank, broker or other nominee how to vote on the proposal to approve the Share Increase, such stockholder’s bank, broker or other nominee could nonetheless vote on the proposal to approve the Share Increase if it chose to exercise such discretionary authority. Unaudited pro forma condensed combined financial information of the Company for the nine months ended September 30, 2018 and for the year ended December 31, 2017 is set forth in Exhibit 99.1 to this Current Report on Form 8-K, which gives effect to the Merger, the Purchase Agreement, the First Amendment and the Second Amendment. The unaudited pro forma condensed combined financial statements should be read together with the Company’s historical financial statements, which are included in the Company’s latest Annual Report on Form 10-K filed with the SEC on March 1, 2018 and the September 30, 2018 results included in the Company’s Quarterly Report on Form 10-Q filed with the SEC on October 31, 2018, and Seelos’ historical information included in the registration statement on Form S-4 declared effective by the SEC on November 20, 2018. Form of Second Amendment Agreement. Unaudited Pro Forma Condensed Combined Financial Information of the Company for the nine months ended September 30, 2018 and for the year ended December 31, 2017, which gives effect to the Merger, the Purchase Agreement, the First Amendment and the Second Amendment. The Company cautions you that statements included in this Current Report on Form 8-K that are not a description of historical facts are forward-looking statements. In some cases, you can identify forward-looking statements by terms such as “may,” “will,” “should,” , or “expect,” “plan,” “anticipate,” “could,” “intend,” “target,” “project,” “contemplates,” “believes,” “estimates,” “predicts,” “potential” or “continue” or the negatives of these terms or other similar expressions. These statements are based on the Company’s current beliefs and expectations. These forward-looking statements include statements regarding the completion of the sale of the Company’s securities and the amount and use of the expected net proceeds therefrom, and the potential completion of the Merger. The inclusion of forward-looking statements should not be regarded as a representation by the Company that any of its plans will be achieved. Actual results may differ from those set forth in this report due to the risk and uncertainties inherent in the Company’s business, including, without limitation: the satisfaction of customary closing conditions related to the sale of the Company’s securities, the risk that the conditions to the closing of the Merger are not satisfied, including the failure to timely or at all obtain stockholder approval for the transaction; uncertainties as to the timing of the consummation of the Merger and the ability of each of the Company and Seelos to consummate the Merger and other risks detailed in the periodic reports the Company files with the SEC. You are cautioned not to place undue reliance on these forward-looking statements, which speak only as of the date hereof, and the Company undertakes no obligation to revise or update this report to reflect events or circumstances after the date hereof. All forward-looking statements are qualified in their entirety by this cautionary statement. This caution is made under the safe harbor provisions of the Private Securities Litigation Reform Act of 1995. This communication relates to a proposed business combination between Apricus and Seelos. In connection with this proposed business combination, on November 20, 2018, Apricus filed a registration statement on Form S-4 with the SEC that contains a joint proxy statement/prospectus and other relevant documents concerning the proposed business combination. The registration statement on Form S-4 was declared effective by the SEC on November 20, 2018. Apricus mailed the joint proxy statement/prospectus to its stockholders beginning on or around November 20, 2018. INVESTORS AND SECURITY HOLDERS OF APRICUS AND SEELOS ARE URGED TO READ THE JOINT PROXY STATEMENT/PROSPECTUS AND OTHER DOCUMENTS THAT MAY BE FILED WITH THE SEC CAREFULLY AND IN THEIR ENTIRETY BECAUSE THEY WILL CONTAIN IMPORTANT INFORMATION ABOUT THE PROPOSED TRANSACTION. 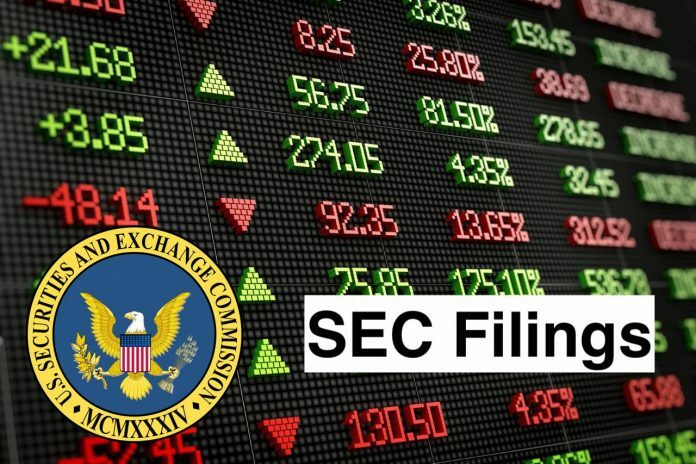 Investors and security holders may obtain a free copy of the joint proxy statement/prospectus and other documents (when available) that Apricus files with the SEC at the SEC’s website at www.sec.gov. In addition, these documents may be obtained from Apricus free of charge by directing a request to ir@apricusbio.com. Before making any investment decision, investors and stockholders are urged to read the proxy statement/prospectus (including any amendments or supplements thereto) and any other relevant documents that the Company may file with the SEC when they become available because they will contain important information about the Merger. The Company and Seelos, and each of their respective directors and executive officers and certain of their other members of management and employees, may be deemed to be participants in the solicitation of proxies in connection with the Merger. Information about the Company’s directors and executive officers is included in the Company’s Annual Report on Form 10-K for the year ended December 31, 2017, filed with the SEC on March 1, 2018, and the definitive proxy statement for the Company’s 2018 annual meeting of stockholders, filed with the SEC on April 6, 2018. Additional information regarding these persons and their interests in the transaction are included in the proxy statement/prospectus relating to the Merger referred to above. These documents can be obtained free of charge from the sources indicated above. Apricus Biosciences, Inc. is a pharmaceutical company, which develops pharmaceutical products. The Company primarily focuses on the development and commercialization of products and product candidates in the areas of urology and rheumatology. The Company’s drug delivery technology is a permeation enhancer called NexACT. The Company has over two product candidates in Phase II development, fispemifene for the treatment of symptomatic male secondary hypogonadism and RayVa for the treatment of Raynaud’s phenomenon, secondary to scleroderma. The Company has a commercial product, Vitaros for the treatment of erectile dysfunction (ED), which is in development in the United States, approved in Canada and marketed throughout Europe.